Cue the nervous smile. Whenever I’m asked this question, I always wonder what my interlocutor’s reaction to my response will be. It’s often a puzzled look with a comment about how I don’t look Singaporean. Or I may be asked more questions about whether Singapore is part of China, what the capital of Singapore is, and which city I’m from in Singapore. My brother, Craig, and I were on the train from Armenia to Georgia. We were sitting with an elderly Georgian man and his wife, who were both intrigued by the curious sight of two bearded Asian brothers on a Soviet-era train in the Caucuses. When we replied that we were from Singapore – probably the first Singaporeans he had ever met in his life – he gave us a tentative smile and wished us a pleasant journey. Our new Georgian friend probably wanted to ask more about us, but the language barrier was too high. I really wished that we could continue the conversation, but there was no common language between us besides the few words of English that he knew. At least that’s what I thought. I was soon proven wrong. After the aborted conversation with our new acquaintances, Craig pulled out his iPad and left it on the table, hoping to read an e-book. Our Georgian friend promptly walked toward us and poured out a handful of roasted sunflower seeds on the iPad! We were surprised by his unusual choice of tablemat but grateful for his generosity. To me, this was more than a gesture of kindness to fill our stomachs. I saw it as an act of accommodation and inclusion into the culture of the region. It was as if he was saying: “Come join my wife and me in an age-old Caucasian custom of snacking on sunflower seeds while looking out the window and watching the world go by.” I quickly understood why sunflower seeds are appropriate for train journeys – eating them is a very hypnotic and time-consuming activity. This is not a chocolate bar that you can wolf down in seconds. You have to break each shell open, which is often a struggle, and then pop each seed individually into your mouth. Soon you develop a soothing and therapeutic rhythm, broken by short pauses to give the jaw a break. The sunflower seeds occupied us for at least half an hour. As my hands were breaking shells and my jaw was getting a workout, my eyes beheld the spectacular undulating terrain of the Armenian countryside. I daydreamed blissfully about the impressive Armenian monasteries I had seen, in which countless generations of monks not only studied the Scriptures, but developed the Armenian language, demonstrated their architectural prowess, studied the natural world through experiments, and mastered their feelings and temptations. I eagerly sought out one last glimpse of the formidable Mount Ararat, the resting place of Noah’s Ark and the national symbol of the Armenian people – a symbol that is so important that it sits at the heart of the Armenian state crest although it lies in Turkish territory. I solemnly reflected on the tragedy of the Armenian Genocide, and then smiled as I thought about the resolve of the Armenian people to emerge from the ashes, guard their rich heritage and build a brighter future. Soon, Anna made friends with the girl from the next cabin. Their giggles added to the already jovial environment of strangers sharing stories, food, music and much laughter. It was heartwarming to see the pure and simple joy of making new friends, unadulterated by the urge to impress and put up false pretenses. I longed to participate in some way! I got up to stretch my legs and walked to an open window to soak in more of the stunning Armenian landscape. Glorious mountains as far as the eye could see, overlooking quaint villages at their feet. An endless blanket of lush greenery against the rich gradient of the dusk. What a picturesque countryside! We pulled into another train station in a small town close to the border with Georgia. The children of the town were playing on the railway platform. That’s probably their daily ritual, I thought. They probably gather at the train station every evening and frolic around the platform while eagerly awaiting the arrival of the 7 o’clock train. The wheels grind to a halt, the engine heaves a sigh of relief, and new faces emerge from the cabins. The new passengers watch the carefree children with delight, and the children revel in the attention. After five minutes, the train resurrects and pulls away from the station, while the children wave excitedly to the visitors who must now continue their journey to a faraway land. As the sun sank slowly beneath the horizon, everyone pulled out packed meals from their bags in almost perfect synchrony. As I had expected, the grandmother kindly offered Craig and me some pastries. We politely declined but she insisted. After the pastries, our first Georgian friend offered us some delicious fried chicken, which we now accepted without question. Then he offered us a swig of vodka – with a refill – followed by a glass of beer. The look of gleeful mischief in his eyes was too much to resist. After dinner, Anna entertained us with a few games and “magic tricks” until her grandmother said that it was time for her to sleep. “That will take a miracle,” I thought. “She’s pepped up on Coke and M&Ms!” What was even more miraculous was that Craig and I managed to heave ourselves onto the upper bunks. Fortunately for Anna and her grandmother, who were sleeping below us, the upper bunks held our weight all the way till Tbilisi, where we bid our friends adieu. I had an unforgettable and priceless experience on Train 202. I was really touched by the generosity of our fellow passengers. But more than that, I was encouraged, inspired and even edified by the joie de vivre that I experienced on that train. The supervising security officer at Ben-Gurion Airport seemed genuinely puzzled. I told her my life story, as I have had to do in Israel several times, and then she followed up with another question. I shouldn’t have scratched my head at that moment. It was an obvious sign of confusion and panic. Up to that point, I hadn’t really done much research on Cyprus. I was busy finishing up as much work as possible before my trip, and I wanted to experience learning about a country through first-hand observation and conversations with people. Besides, I felt less motivated to do any research prior to my departure because my three-day trip was reduced to a 36-hour stint in Nicosia due to unforeseen circumstances. So I told the officer what I knew about Cyprus – it is inhabited by Greek and Turkish Cypriots who have had a history of conflict, the most obvious sign of which is the Green Line which runs through the northern part of the island and through Nicosia, the last divided capital city in the world. 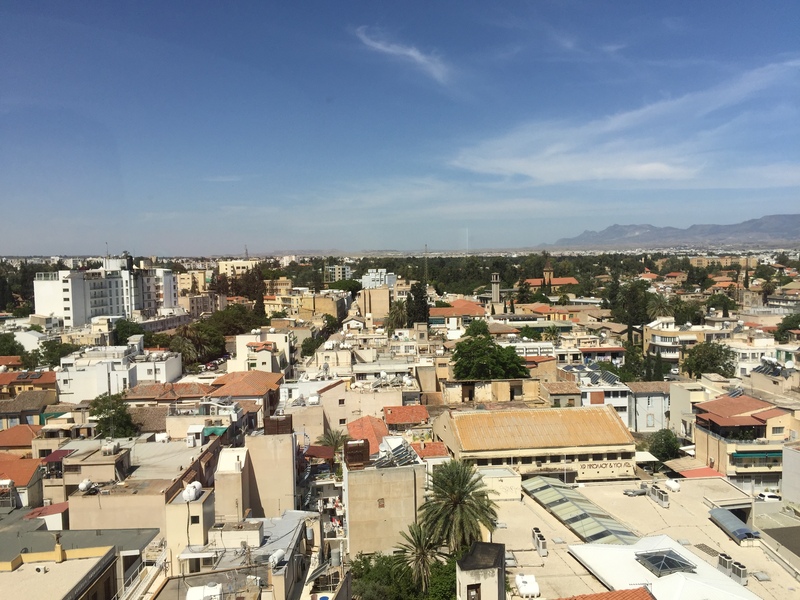 I learnt so much more during my solo exploration of Nicosia, not just about Cyprus but about the benefits of travelling alone. I left the city with a heavy heart, knowing that I had barely scratched the surface of the enigmatic history and culture of the island, which has stood at the crossroads of different civilisations. 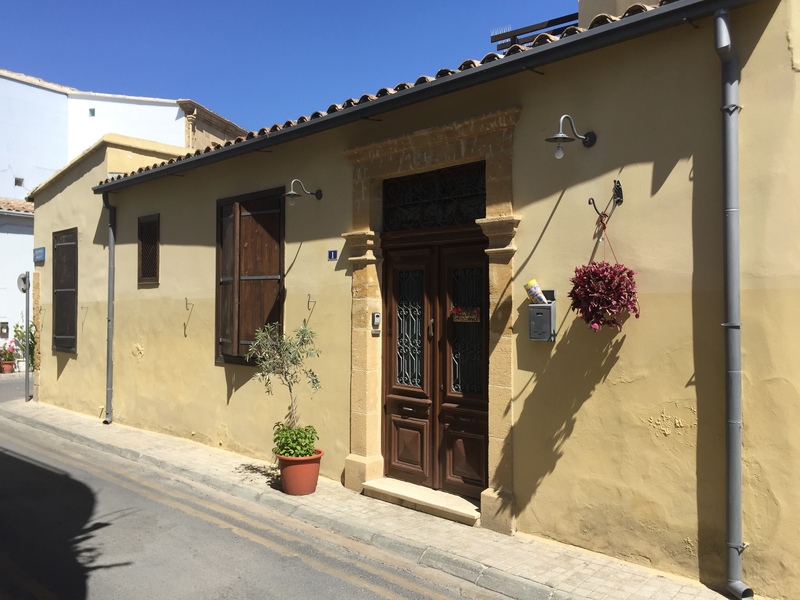 Do not be fooled by the smallness of the island (an ironic statement from a Singaporean, as you’ll see at the end of this post) – it would take several lifetimes to understand the rich tapestry of Cyprus. There’s so much history to uncover, understand and learn from. The lethargic ambience of this Mediterranean island belies its great dynamism, past and present. The history of Cyprus is a history of battle and conquest. The island has changed hands many times, resulting in complex layers of cultural, historical and architectural influence today – Greek, Roman, Byzantine, Venetian, Ottoman, and British. The influence of Orthodox Christianity and Islam is still visible today, with churches sitting next to mosques, churches that have been converted to mosques, and the Greek and Turkish Cypriot populations largely identifying with Orthodox Christianity and Islam respectively. 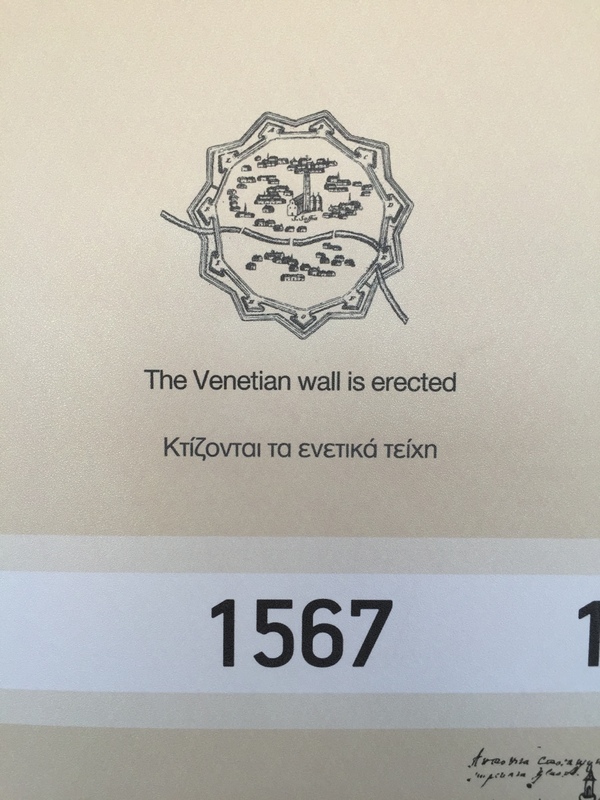 The city is surrounded by Venetian walls that form an 11-point star, which were built all the way back in 1567. But the walls were unable to defend the city from an Ottoman invasion just three years later. In 1570, Nicosia became the administrative centre of Ottoman Cyprus. The island remained a part of the Ottoman Empire for the next 300 years, until the Ottomans granted control of the island’s administration to the British in 1878 in exchange for British support for the Ottomans during the Congress of Berlin. After WWII, Cypriots engaged in a struggle for liberation from the British Empire between 1955 and 1959, resulting in the establishment of the Republic of Cyprus in 1960. But the foundation of the newly independent state was shaky. For the next few years, there was inter-communal conflict between the Greek and Turkish Cypriot communities over the Constitution of the state. A British peacekeeping force intervened in a bid to ease tensions, led by Major-General Peter Young. In 1963, the general drew a cease-fire line on a map of Cyprus which divided Nicosia into Greek and Turkish Cypriot sectors. The line was drawn with a green pen, hence the term “Green Line”. In 1974, in response to a short-lived coup d’etat of the Cypriot President carried out by the Greek military junta government, the Turkish military invaded Cyprus and eventually occupied 37% of the island, including the northern part of Nicosia. The Turkish Republic of Northern Cyprus was declared as a sovereign state, but to this day, only Turkey recognises it as a state. The Green Line was impassable to both Greek and Turkish Cypriot communities up till 2003, when border crossings were opened. This has facilitated cross-cultural exchanges and people-to-people (Track III) diplomacy, especially within the UN-administered buffer zone where NGOs, international organisations, and state-sponsored development agencies conduct inter-communal dialogues and other trust-building activities. Today, the conflict between Greek and Turkish Cypriots is largely frozen and non-violent, but still alive. I had the opportunity to speak to Greek and Turkish Cypriots on both sides of the Green Line. In my conversations, I asked my companions what their foremost identity was. Did they feel Greek/Turkish, Cypriot, Greek/Turkish-Cypriot, or something entirely different? In what way did the Turkish Cypriots feel different from the Turks, and Greek Cypriots from the Greeks? I asked them about specific points in Cypriot history, and how people today felt about them. All of them emphasized the differing narratives of both communities, much like in the Israeli-Palestinian conflict. On the northern side, a Turkish Cypriot lady (who very kindly helped me order ice cream in Turkish) told me that many Turkish Cypriots do not like to be called Turks/Turkish, because they hold on to a separate national identity. She said that even though the conflict is no longer violent, the fact that it is frozen means that many Cypriots have accepted it as a normal part of their daily lives, which reduces the chances of its resolution. 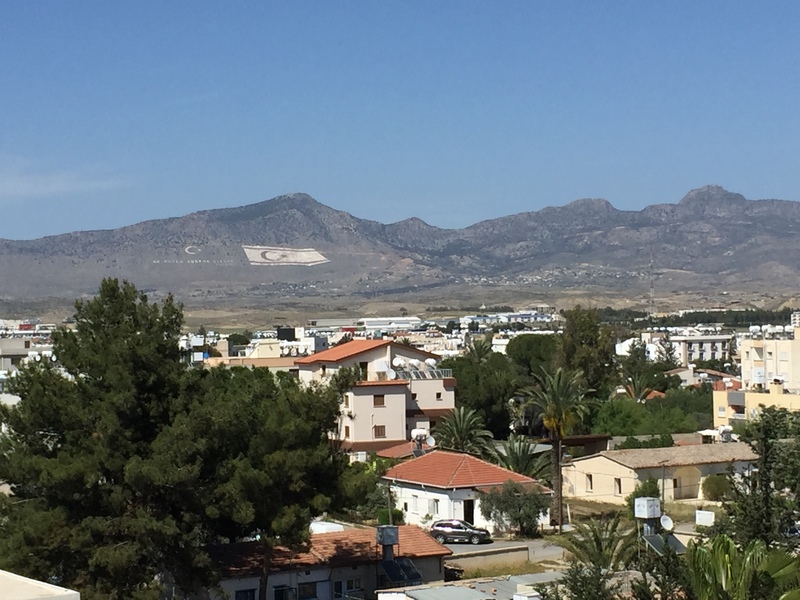 Similarly, on the southern side, a Greek Cypriot girl told me that the younger generation no longer sheds tears over the conflict, although she does feel angry every time she sees the Turkish and TRNC flags etched into the Pentadaktylos Mountains on the northern side. But will such anger motivate people to find a solution? Or could it spark further conflict in the future? Interestingly, a Greek Cypriot museum curator told me that from his perspective, identity labels don’t matter in daily conversation anymore. There is still a need to be aware of the political sensitivities of identity labels, but the complexity of the situation makes errors unavoidable in conversation. As for the contrasting narratives of both communities, besides the different narratives of the 1974 Turkish military occupation, there are also different conceptions of the term “national struggle”. On the Greek Cypriot side of Nicosia, the National Struggle Museum focuses on the struggle against British rule from 1955 to 1959, while the Museum of National Struggle on the Turkish Cypriot side focuses on the resistance of the Turkish Cypriot community against British rule and Greek aggression from 1878 to the present day. 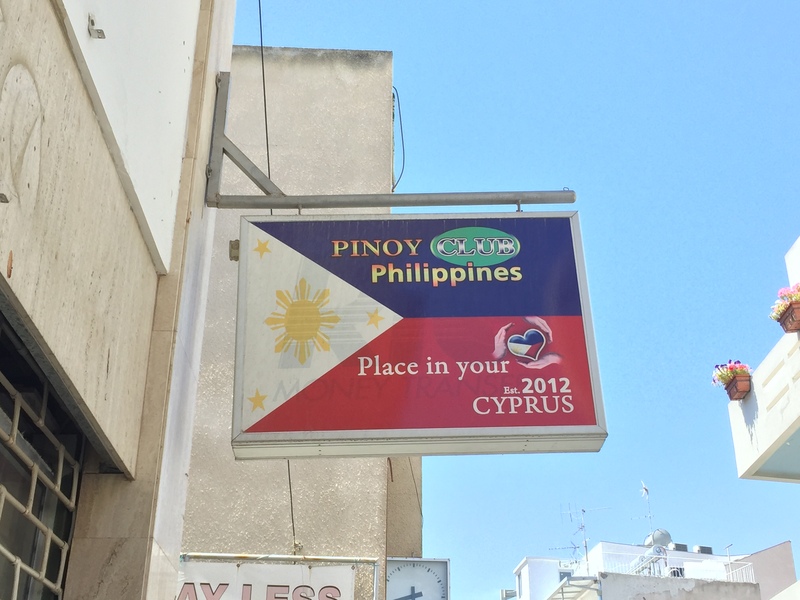 I noticed very conspicuous displays of national identity and sovereignty in Nicosia, especially along the Green Line. The signs and symbols used by both sides serve as bold visual statements to the opposite side. From what I observed, the Turkish Cypriot side seemed to use more brash and provocative statements than the Greek Cypriot side, but this assessment is based on the little that I saw. 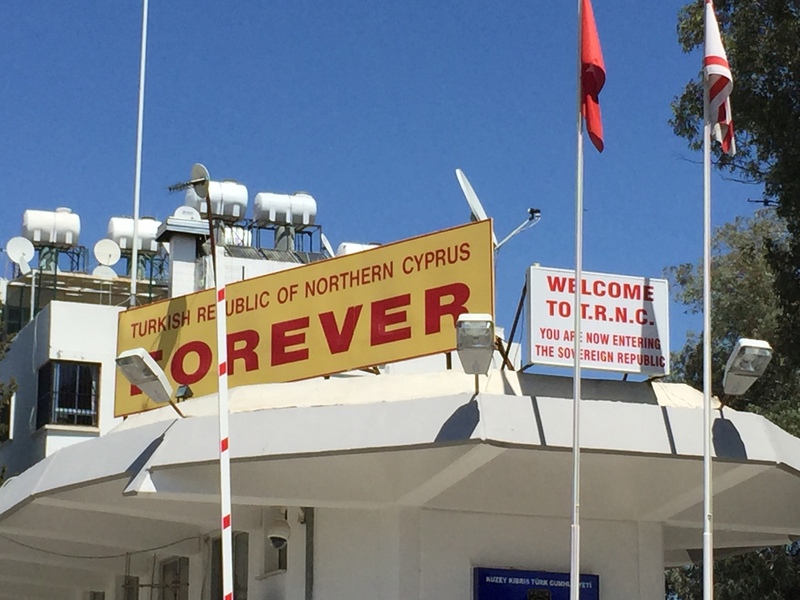 At the Ledra Palace Hotel border crossing, the Turks have erected a large sign with the words “Turkish Republic of Northern Cyprus FOREVER”. I imagine that there are very polarised opinions about this sign – depending on your point of view, it is either a strong display of steadfast determination, or the chest-thumping of a petulant child! In any case, the defiance of the billboard stands in stark contrast to the spirit of compromise embodied by the UN, which has several offices close by. 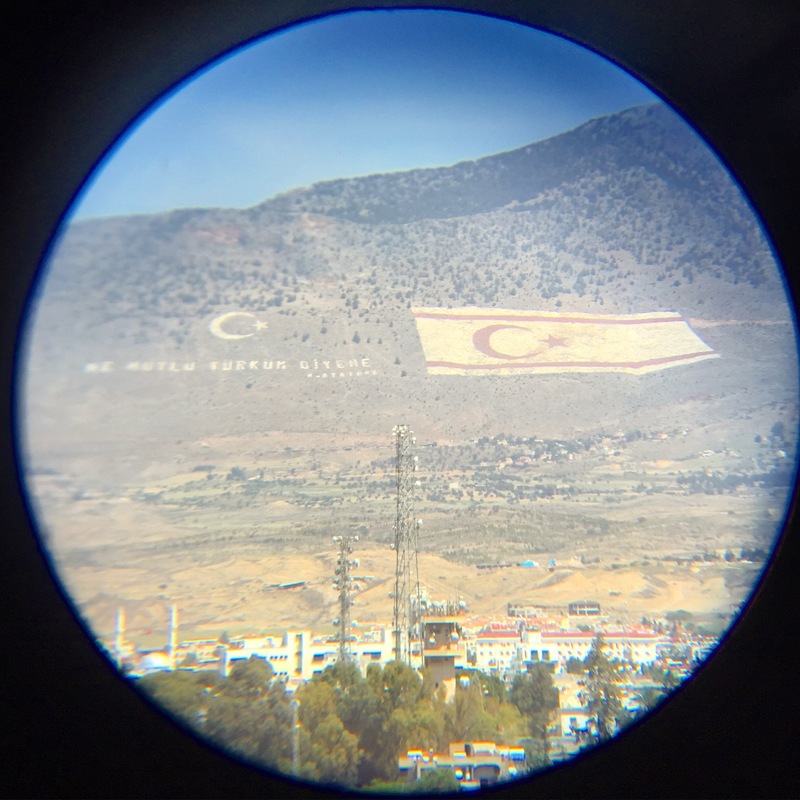 In a further display of monumental theatricality, the Turks have also etched two giant flags – the Turkish flag and the TRNC flag – into the southern slope of the Pentadaktylos mountain range. This is best described as a middle finger to the Greek Cypriots and the international community, which has unanimously withheld recognition of the TRNC. As for the symbols employed by the Greek Cypriots, the most garish display I could find were Greek flags that were hoisted opposite Turkish and TRNC flags along the Green Line. Perhaps the EU flags are also perceived by some Turkish Cypriots as a taunt, given Turkey’s bid for EU membership. The legacy of the long-standing conflict is not only seen in the different national identities, narratives and symbols. There are still internally-displaced persons (IDPs) in both communities who want to go back to their homes on the opposite side of the Green Line. During the inter-communal violence of the early 1960s, Turkish Cypriots fled from Greek Cypriot paramilitary groups to the north. During the 1974 Turkish invasion of Cyprus, Greek Cypriots in the north fled to the south. 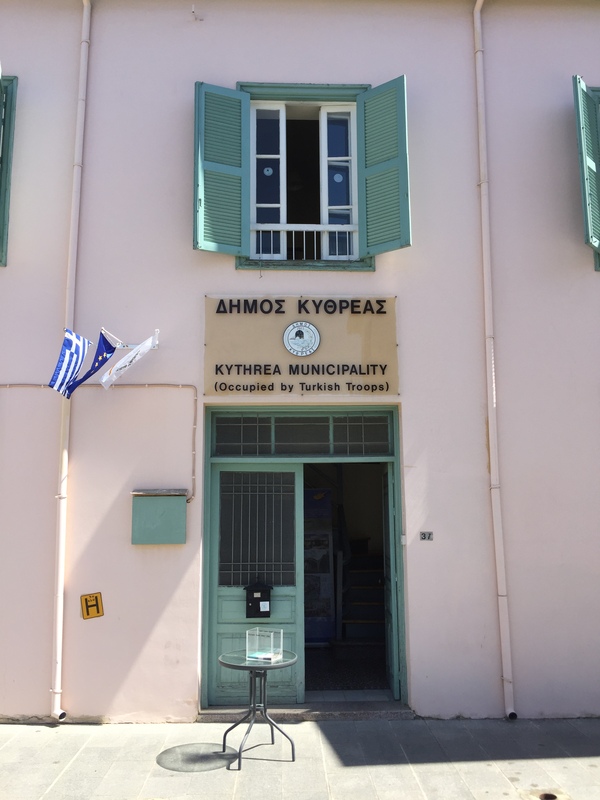 While walking through the labyrinth of the Old City, on the southern side, I came across the Kythrea Municipality office. I learned from the receptionist in the office that Kythrea is a small town located 10 km northeast of Nicosia which is now under Turkish occupation. 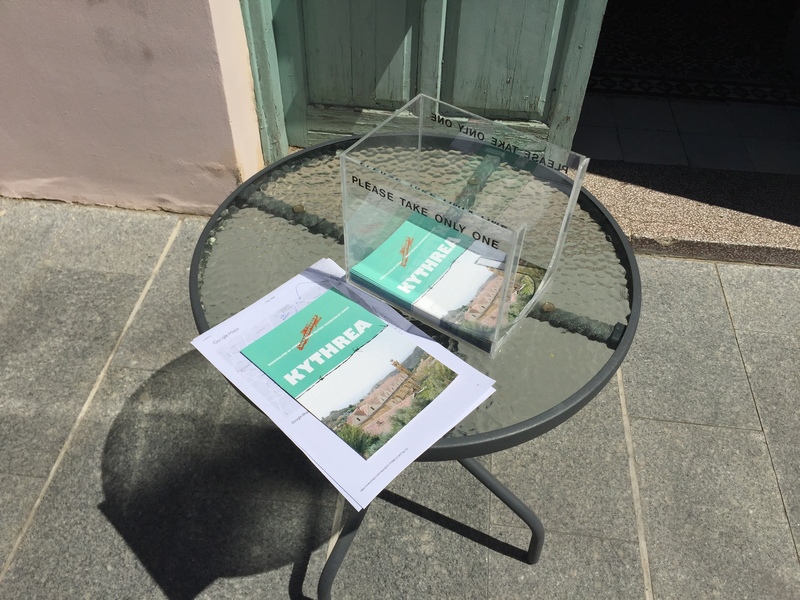 During the Turkish invasion of 1974, the people of Kythrea had to leave their homes and take refuge in the south. Today, the displaced inhabitants of the town claim that their churches are being destroyed and neglected, and their cultural heritage is being laid to waste. According to them, the Turks have dried up their local spring, which was once the largest spring in Cyprus. The Municipality office lobbies the Cypriot government, the EU, and other governments and organisations to place pressure on Turkey to withdraw from Cyprus. One of their main assertions is that Turkey’s bid for EU membership is completely unacceptable given its occupation of the territory of an EU state. Besides my personal observations and conversations with Cypriots, I visited a museum which presents a unique way of learning history – “through the palettes and brushstrokes of travelling artists”. The Centre for Visual Arts and Research (CVAR) exhibits foreign artists’ depictions of Cyprus from the 18th to 20th Century. Visitors are invited not only to appreciate the beauty of the artwork but also to recognise the messages of the artists to their audiences, the perspectives and prejudices of the artists, and the main themes of the artwork. One of the main themes pointed out by the museum curators was Orientalism – the idea that many Western artists intentionally or unintentionally depicted the East as exotic and fascinating, but also passive and uncivilised. For example, many British and French artists who travelled to Cyprus in the 18th century focused on the European heritage of the island despite the fact that Cyprus was part of the Ottoman Empire at this time. Another part of the exhibition emphasised the tendency of British newspapers and magazines to portray Cyprus as undeveloped and floundering after the island was handed over by the Ottomans to the British in 1878. This would provide the basis of comparison to show the benefits of subsequent British rule and to encourage British entrepreneurs to invest in the reconstruction of the newly acquired British colony. Of course, not all foreign artists focused on the European aspects of Cyprus. Beyond scenic landscapes and architecture, the artwork also portrayed life in the bazaars, Cypriot festivities, religious rituals, political life, and even the experience of European Jewish refugees who were interned on the island by the British from 1946-1949 for attempting to run the blockade into Palestine. I was fascinated by the variety of the exhibits, the breadth of Cypriot history and experience captured by artists, and the depth of possible interpretations that each artwork inspires. Today, almost 100% of Greek Cypriots live south of the Green Line, and the same is true for the Turkish Cypriot community on the other side. Before my trip, I was under the impression that I would find very little ethnic diversity in Cyprus, apart from the Greek and Turkish communities. 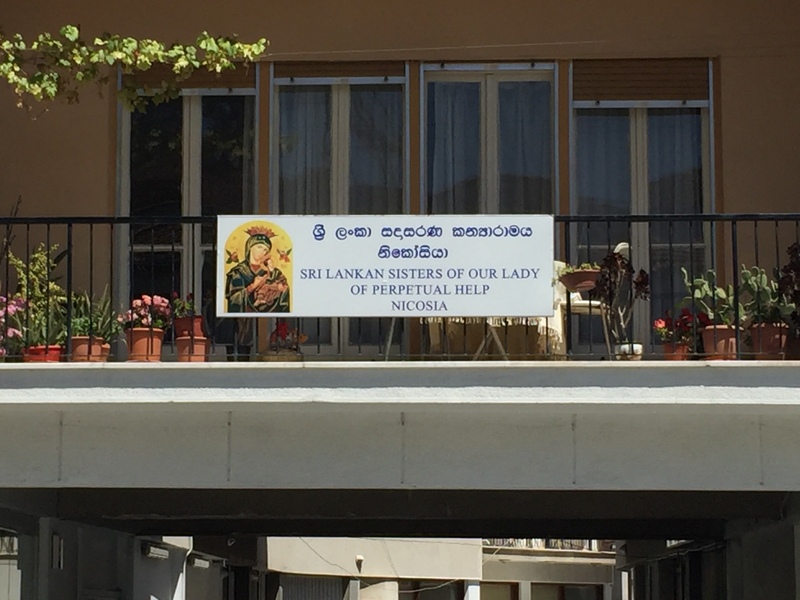 Instead, I was surprised to find Indians, Filipinos, Vietnamese, Sri Lankans, and Africans living and working in Nicosia. I walked past a Sri Lankan church, a Vietnamese restaurant, an Asian food shop, a Russian food shop, and the office of the Pinoy Club. The question remains whether Asians and Africans are able to integrate well in Cypriot society. 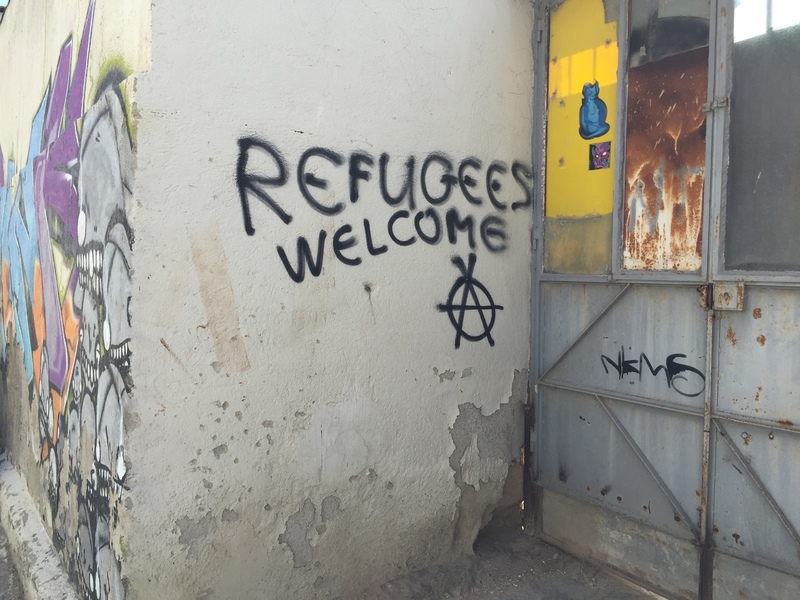 I imagine the influx of migrants/refugees to Europe is also an important discussion point in Cypriot politics. Unfortunately, these topics did not come up in my conversations with Cypriots. Cyprus is one of the most intriguing countries I have visited. I wish I could have stayed longer and visited all the other parts of the island! I guess I’ll have to make another trip there. And when I do go back, I might travel alone again. This was my first time travelling alone on holiday, and I thoroughly enjoyed the experience. I was too busy to feel lonely. I felt free to pursue my own adventures, talk to whomever I wished, and explore endlessly. I didn’t have to draft an itinerary with anyone, or think about what others wanted to do, or feel constrained by a schedule. It was an opportunity for me to break out of my comfort zone and strike up conversations with people. Try travelling solo! And if you have no idea where to start, hop on a plane to Larnaca, head to Nicosia, and just start walking and talking!